YBLTV: What are the key features of your product? EZVIZ: The Mini Trooper’s unique wire-free design provides the flexibility to be easily installed at any location, including hard-to-reach locations that a traditional wired camera can’t access. Neither a video nor power cable is required, eliminating the challenge of running a wire. When placing the Mini Trooper outdoors, you won’t need to worry about rain or shine as it’s weatherproof for year-round operation. The Mini Trooper base station allows you to control up to six Mini Trooper cameras, comes with a built-in microSD card slot that stores up to 128GB and easily connects to the internet via Wi-Fi or Ethernet cable. Not only can consumers control these six cameras from one application on their phone, but also the video feed of any EZVIZ camera – whether it is Wire-Free, Wi-Fi or a Wired Camera. YBLTV: What does the Mini Trooper offer that competitors’ products do not? EZVIZ: Leveraging EZVIZ’s proprietary High Dynamic Algorithm (HDα) video technology, combined with years of experience in video security, the Mini Trooper delivers high-quality video compressions, a battery life up to 9 months*, and peace-of-mind knowing it is easy-to-use and convenient to set up and monitor your cameras from anywhere. Our customers get superior value because they aren’t restricted to only one EZVIZ camera. They can mix and match any EZVIZ camera combination and manage them under one app on their phone. *Mini Trooper’s battery life can last up to 9 months when using the four included CR123A batteries based on up to 30 ten-second motion triggered event recordings per day. YBLTV: How do customers currently use the Mini Trooper? Is it for use both indoors and outdoors? EZVIZ: Mini Trooper can be used inside and out because its wire-free design provides the flexibility to be easily installed at any location, including hard to reach locations that a traditional wired camera can’t access. Neither a video nor power cable is required, eliminating the challenge of running a wire. It’s weatherproof for year-round operation outdoors, too. YBLTV: Walk us through the setup and installation of the Mini Trooper. Pick a clean and flat surface, indoors or outdoors and mount the camera(s)*. This is the recommended network set up. There is also an optional network set up to connect the Base Station to Internet via Wi-Fi. 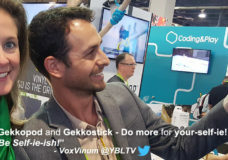 YBLTV: How can customers access live view, video & photos from the Mini Trooper? EZVIZ: With our EZVIZ App, you can view and manage the Mini Trooper and any other EZVIZ cameras from the palm of your hand. YBLTV: How far away from the base station can the Mini Trooper be and still operate? EZVIZ: Camera range is up to 300 feet from the base station. YBLTV: What is the cost of the Mini Trooper? YBLTV: How do you see the home security industry landscape evolving in 2018 and beyond? Smart homes will get even smarter. 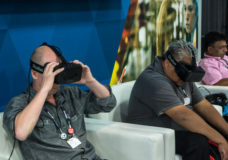 Thanks to the addition of AI and big data applications, smart devices will come equipped with ever more intelligent features, such as the ability to correctly detect human-shaped objects. It’s gonna get personal. We’re seeing greater personalization of smart home devices based on user behavior. We all follow different routines in our daily lives and our smart devices will get to know these habits and adjust accordingly. The picture will come into focus. Video resolution in the security camera industry has been lagging far behind other markets, but now there will be better picture quality in security cameras. DIY will merge with professional services. Not every consumer is a DIY-er and many will want guidance from a professional services provider to help them install and connect their various smart devices.